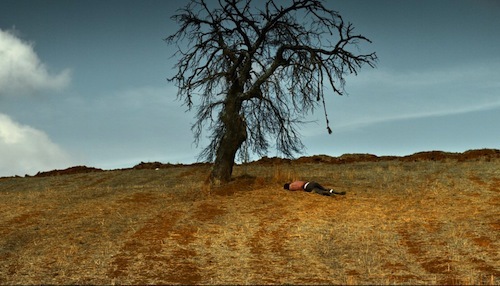 Turkish auteur Nuri Bilge Ceylan is revered for his immersive tales, sharp topical observation, critical voice, and insightful approach. He was the mastermind behind the gems Once Upon a Time in Anatolia (2011) and Winter Sleep (2014). 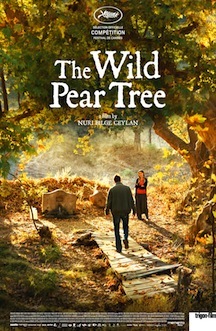 His new drama, The Wild Pear Tree, is not as strong as its predecessors, but effectively merges family complication and unemployment crisis in modern Turkey. It can also be pointed as a bitter reflection on loneliness and social/cultural alienation in an undermined society that offers no solutions for the youngsters. Working under Ceylan's guidance for the first time, Dogu Demirkol is Sinan Karasu, a smart post-graduated man who aspires to be a writer. He returns to the rural village where he was born with the hopes of finding a job, a frustrating effort, and also trying to be financed by the local mayor to launch a book of personal memories. He finds nothing but unhappiness and disappointment everywhere, feelings that extend from family members to closest friends. His father, Idris (Murat Cemcir), was a respected teacher before turning into an inveterate gambler who dreams about transforming the arid land where he lives into a green oasis. He just needs to dig a well and find water, a task he puts considerable time and effort into. Slowly, he destroys the household with debts and affliction, losing the trust of his wife, Asunan (Bennu Yildirimlar), who, helpless, confides her worries to her son. Besides the family-centered bickering, the young man bumps into the beautiful Hatice (Hazar Ergüçlü), a downhearted childhood friend who gave up school and is about to get married in the interest of financial stability. But there are more encounters and long conversations, all of them tolerantly philosophical in tone. The one about art and preconception involves Suleyman (Serkan Keskin), an established writer who overreacts to Sinan's sarcasm. The one related to religion is pretty complex and puts him face to face with the tricky Imam Veysel (co-writer Akin Aksu) and his submissive yet purer apprentice Imam Nazmi (Öner Erkan). Not to mention the prepotent Ilhami (Kubilay Tunçer), a successful businessman who never studied, but reveals prejudice for the ones who did. Sooner than later, Sinan concludes that he has to cover all the expenses related to the book. He is a resolute man, even when expectation vanishes and disillusion sticks around. But by what means? The film’s narrative arc demands attentiveness. It’s dense and talky, with a lot to absorb and almost no time to reflect. Yet, the deep meaning of the words blended with the pure, hyper-realistic filmmaking style of Ceylan, makes it a very rich experience. Finding a beautiful lyricism in its own desolation, the film dives into estrangement, existentialism, morality, and the passage of time with all the painful changes that might come with it.